Lightweight mailer for single or bulk mailing. Learn how MacUpdate Desktop can install apps on MacUpdate with the simple click of the icon. Plus, keep all your apps updated. Is there a better alternative to Quaik? Is Quaik really the best app in Email category? Will Quaik work good on macOS 10.13.4? 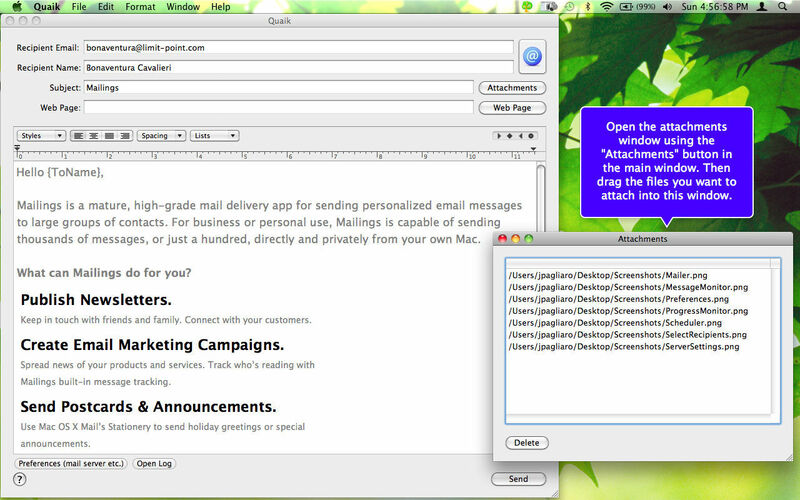 Quaik is a lightweight mailer for single or bulk mailing. 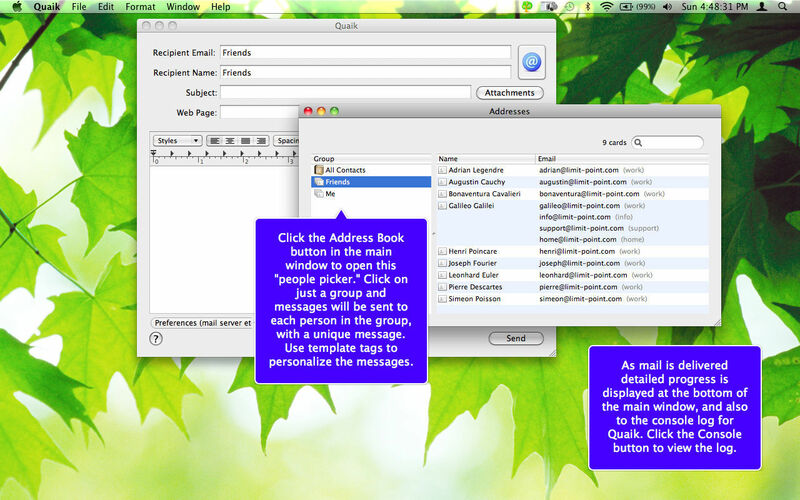 Supports Address Book, SSL, HTML, attachments. Send Web pages on the internet. 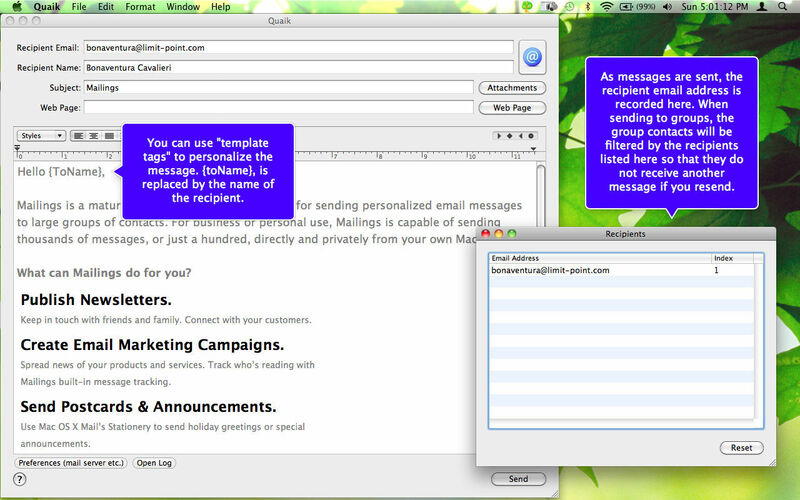 Full featured integrated editor for creating plain text or HTML mailings. Uses Address Book for simple recipient addressing. Add any type of attachment. Supports secure connections, so you can use email accounts like gmail. Messages can be personalized with template tags. Quaik needs a review. Be the first to review this app and get the discussion started! Quaik needs a rating. Be the first to rate this app and get the discussion started! 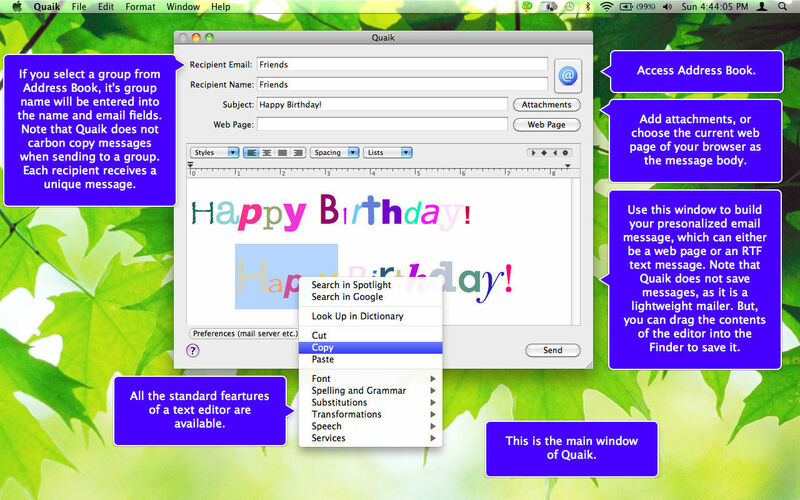 Quaik is part of the Limit Point Software "Utilities Bundle." Visit the Utilities home page at: http://www.limit-point.com/Utilities.html for a list of all the software available. One donation unlocks all utility software, upgrades always free.